Half a decade after the “great recession” the economy is still shaky and banks are still laying off employees by the thousands. There are 15 job candidates for every open finance position. Winning a finance job in this new economy now requires a detailed game plan and comprehensive preparation. 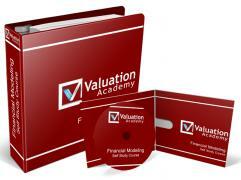 Valuation Academy is your comprehensive resource for learning financial theory to winning a career in finance. Network your way into a finance position, without even knowing excel! Craft a winning resume and land interviews wherever you want. Everything that you need to win a career in finance and excel in your finance career is at your fingertips on this website. Now get to work. Hi, I’m Kyle Dilger, the brains and muscle (finger typing muscles) behind ValuationAcademy.com. I graduated in 2009 with a B.A. in Economics from the University of California Berkeley, during the worst part of the recession. The genesis of the site came from when I was looking for a job out of college, and every position required financial modeling experience. I had no experience. As a young professional eager to get into banking, there was a HUGE gap between what I learned in my finance classes and how finance is applied in the real world. I started looking for excel training courses specific to valuation modeling, but noticed that the information specific excel training I needed to know was either too expensive or was only available via video training (ugh). I wanted a step by step walkthrough on how to build financial models, and it had to be something I could reference in the future. Nothing of that sort really existed (or still exists) on the Internet, so I figured I’d do it myself. And thus, valuationacademy.com was born. After working in banking for a couple years, passing all three levels of the CFA program, consulting some of the best textbooks and resources on valuation, and having countless conversations about valuation theory, I decided to organize my notes. I placed all of that information online so I could easily access my notes from anywhere, and little did I know I was starting something big. Since valuationacademy.com’s launch in the summer of 2011, I’ve had about over 100,000 visitors use it for help – and the numbers keep growing! The best part about all of this is the response I’ve been receiving from people like you. All of the thanks and praise for my hard work has driven me to work even harder on the website – to continue updating the information on the website and provide the world with the best excel modeling and valuation information possible. I love hearing stories of how people have found my site to be a great resource. Your feedback and continued use of valuationacademy.com are very much appreciated. If you’re new, again I’m here to help you, so if you have any questions or comments (or suggestions!) about anything, please feel free to contact me anytime. PS: If you’re in the market for a job in finance, grab my free ebook below. It’s a fantastic resource that you’ll consult throughout your job hunt.